The service itself was great. The car came on time and it was well spaced for our family of 5. However, the driver was awful. His driving skills were terrible. He stopped short 3 or 4 times, and one of us almost fell on the car floor TWICE. Although it was very hot that day, he had 2 windows opened and the air conditioner on a low setting, and he didn't turn it up even though we asked him. And when I turned it up myself after a while, he very rudely turned it down again. On top of that, he made a sudden stop at a gas station and got out without saying anything or excusing himself (we assumed he went to the bathroom). Don't know how he's entrusted to drive customers safely to their destination and interact with them on a daily basis. Hello, I think you're doing an excellent job with your service: the driver has been very professional and we had a good travel experience. The only thing I want to notify you is that we received two different quotations, one was 35 but in the confirmation e-mail was 30. Glad we pre-booked with the company. It made getting to our hotel hassle free. Totally satisfactory service. Decent and respectful drivers which is not easy to find. Transfer from Istanbul cruise terminal to airport was arranged on line, nice mercedes vehicle waiting for us at 0615, driver was very friendly and professional. In general, it was a good service. Only problem was in the arrival area, where there should be more attention to the client: The person who was holding the paper with my name simply disappeared with other clients right when I identified myself, without saying a word in English. Awesome company I will use them again for sure. Excellent service, on time. Vehicle clean and driver very polite and helpfull.Will recommend you. Thanks for fantastic service. Driver arrived before time, and very helpful. No problem. We have used your service on three occasions. Each time the service was prompt, courteous, and on time with clean vehicles. We would certainly use the service again when we return to Istanbul. I requested a transfer for 3 colleagues and me from Ataturk airport to hotel and despite plane's 3 hrs+ delay; we found the driver still waiting holding a placard with my name on it. The mini bus was clean and adequate to transfer us + luggage with comfort which made me request pick up from hotel to airport and the service was just as good. I appreciated that I could pay in local or foreign currency & the fact that the driver had foreign currency change to settle the invoice. We've requested transfer from Ataurk to Sabiha airport. Date was wrong (by us) but transfer was organized in spite of this in 10(!!!) minutes. Clean and new minibus with friendly and silent driver was there for us and job was done excellent! Thanks a lot for the 2 excellent transfers (Airport-Hotel Return) and the perfect support and super fast feedback after my request by e-mail. We can reccomend this company to anybody to 100%. Friedly drivers, new cars, reliable and punctual. Next time will book the same service. Many thanks for this excellent Transfer. Everything worked fine and we arrived at the hotel after a relaxing ride. We definitly will book this service again. OUTSTANDING SERVICE!! We were VERY Pleased with the driver's courteous and professional manner. We used the service from the airport to our hotel and back to the airport. Both the drivers showed up ON TIME and were very professional. The vehicles were clean and well maintained. Great service from pick up to drop off. As I used by you, I got super services. Keep your policy in services like that to probagand by quality and snow ball system from mouth to mouth. Punctual and Excellent Service. We used the transfer service 4 times on our trip to Turkey this month. Everytime was nothing short of Perfect. Clean Vehicles, professional service. Easy to locate & definately Value for money. Excellent! On time, clean and spacious vehicles, courteous drivers, best prices. I would absolutely use it again and definitely recommend to others. Excellent service from the airpot my wife left her bag in the car in by accident. When notified the driver found the bag and it was promptly returned. Plane was late for 1 hour, but driver waited for me. Very happy with the services, A+. Obviously the smartest way to reach travel from and to the airport. Yes, we were very happy with the pick-up. Only difficulty was finding our name on the paper at the exit of the airport. staff was very friendly and efficient. Car was clean. Thank you. 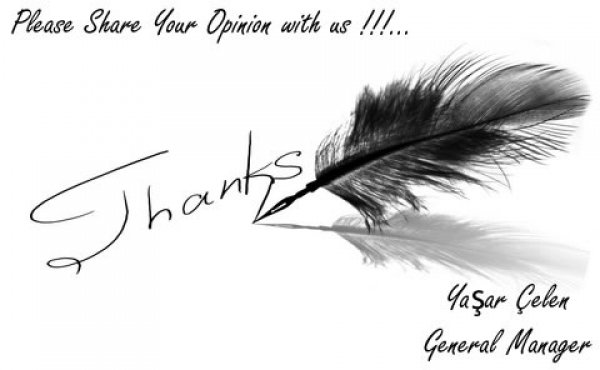 We really appreciate that you spend your time to write your review. We have noted your suggestions one by one and be sure that it will be very useful for our future services. You can be sure about that we will point on each error/lack points you mention on your review. Please note that we will be very happy to serve you sometime in future and you can be sure about that we make our service better every day with your feedbacks. It was great and even much better than I had expected! Sultanahmet Transfer Istanbul Airport Transfer How to get from Sabiha Gokcen Airport to the city? Istanbul Airport Shuttle How to meet at Sabiha Airport What time should I leave my hotel to catch a flight in Ataturk airport? What time should I leave my hotel to catch a flight in Sabiha airport? How to meet at Ataturk airport Ataturk Airport Transportation Is there any additional charge for my airport transfer service?